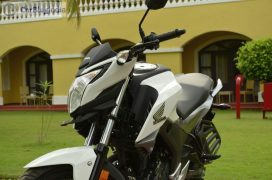 The new CB Hornet 160R gets conventional telescopic forks up front and a monoshock suspension at the rear. 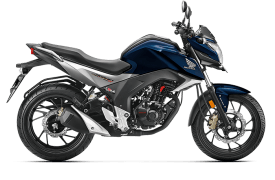 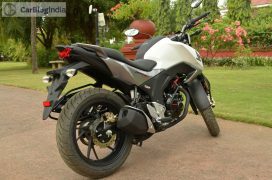 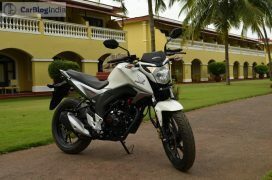 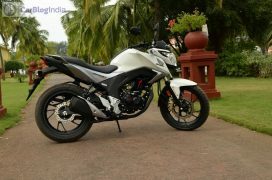 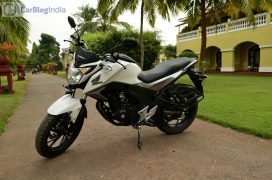 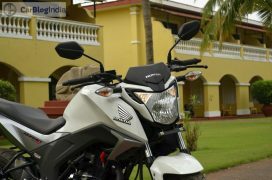 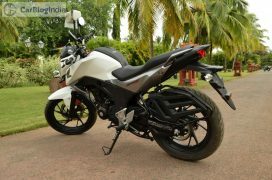 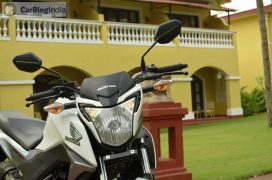 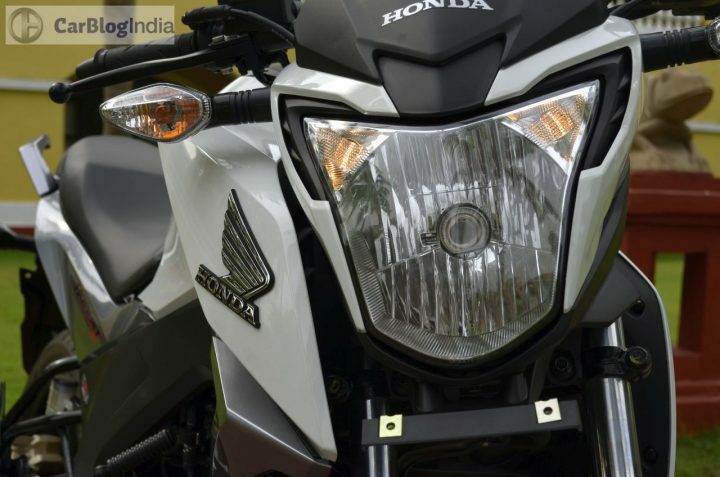 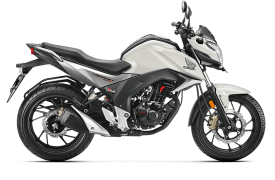 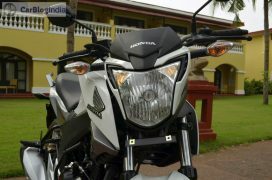 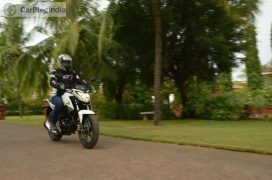 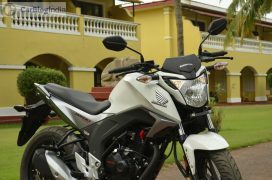 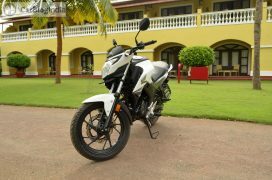 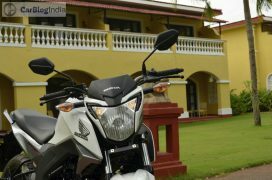 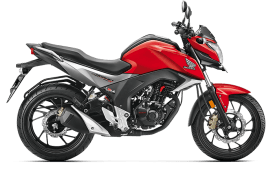 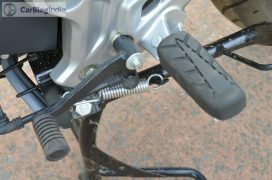 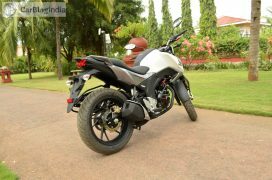 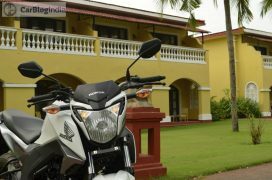 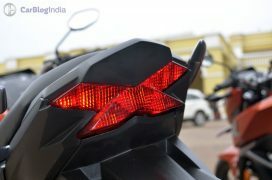 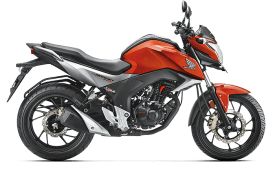 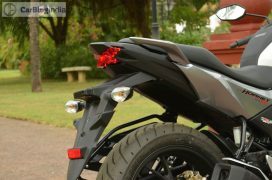 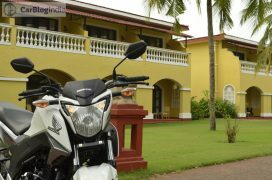 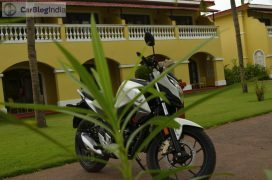 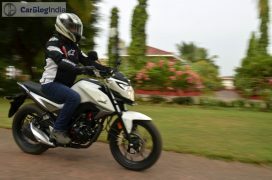 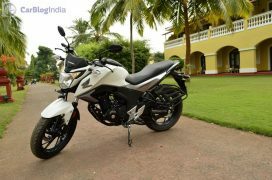 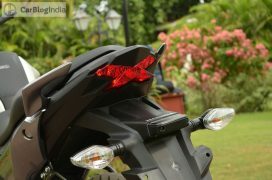 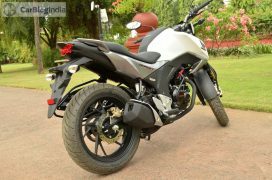 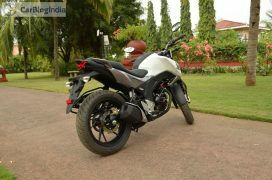 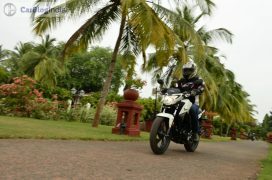 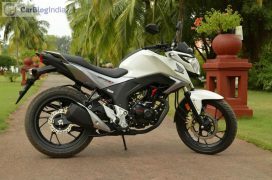 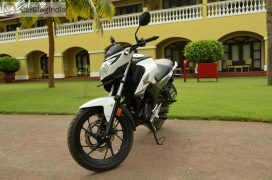 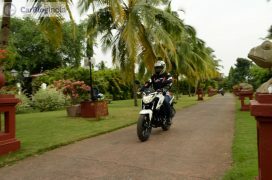 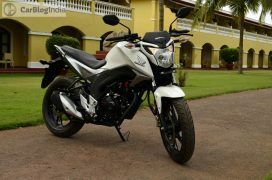 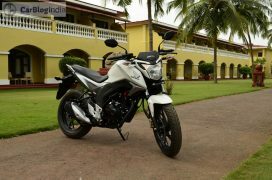 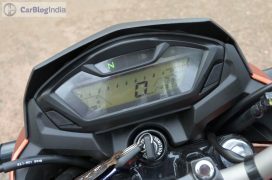 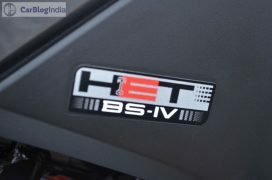 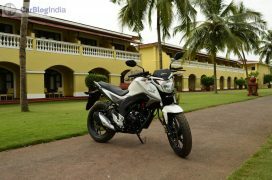 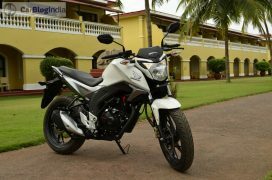 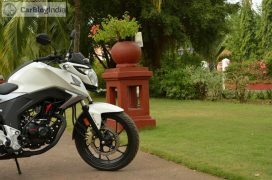 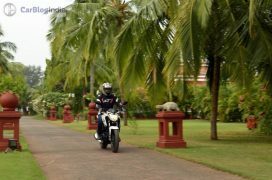 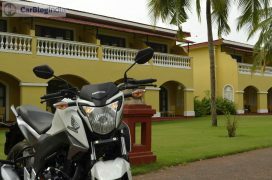 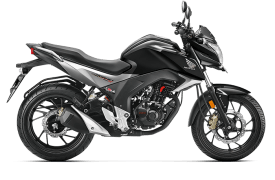 Unfortunately, our ride of this motorcycle was restricted to just a few kilometres and hence, you’ll have our final word on this motorcycle’s ride, handling & braking only in our comprehensive 2015 Honda CB Hornet 160R review. 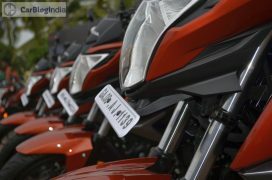 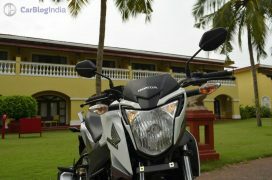 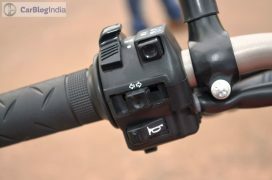 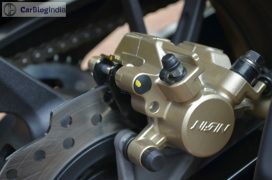 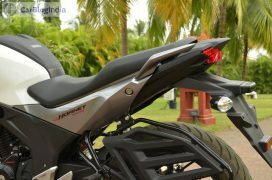 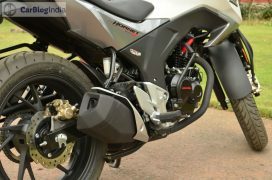 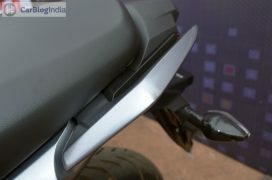 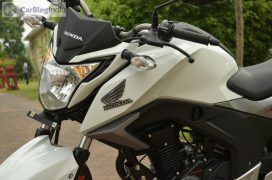 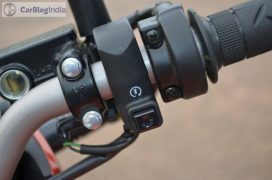 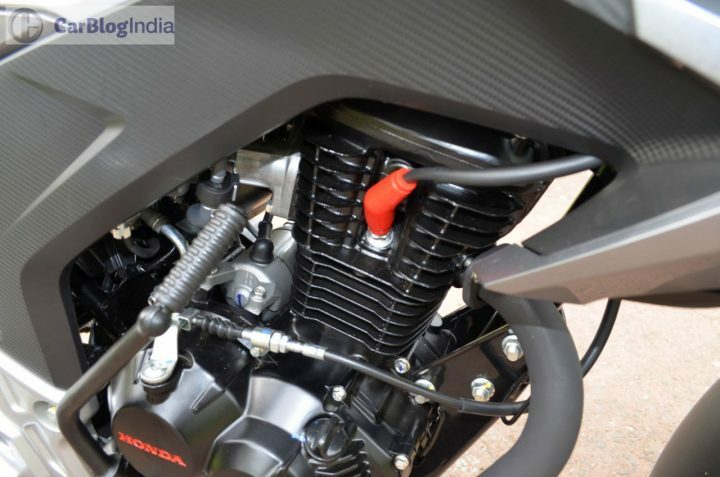 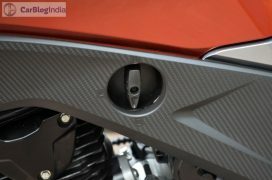 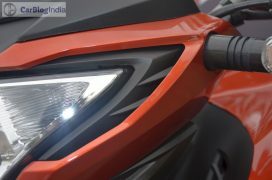 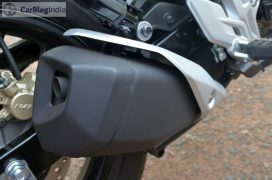 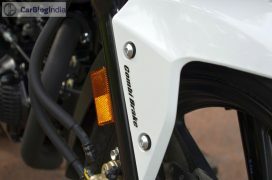 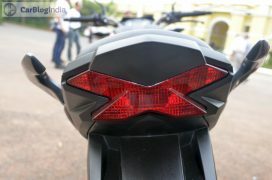 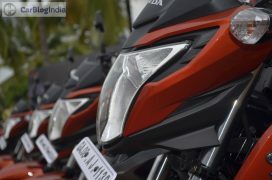 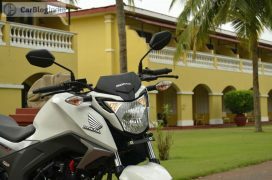 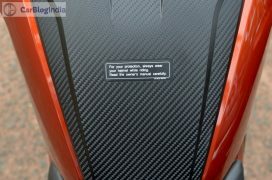 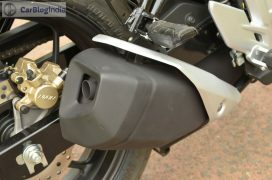 However, our initial impression is that the bike benefits from a decent ride quality, which is something that we’ve come to expect from all Honda bikes in India. 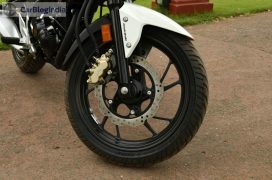 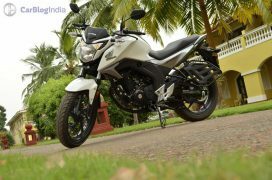 Also, the wide tires ensure that there’s ample grip on offer when attacking corners at speeds. 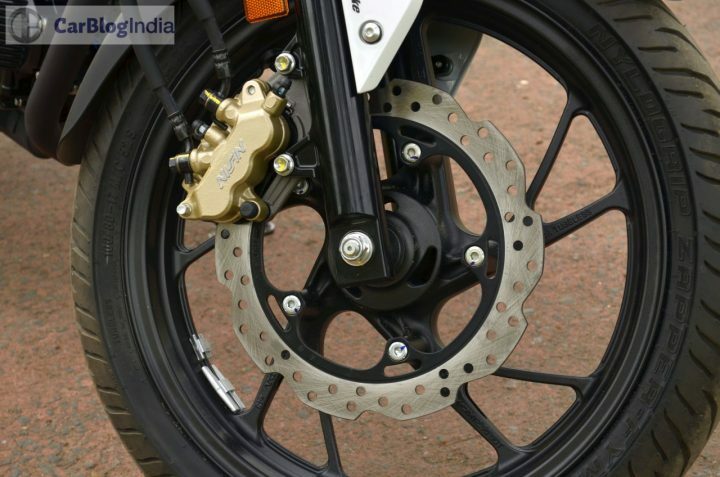 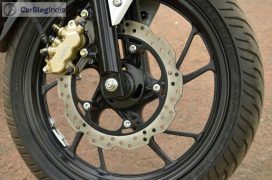 The CB Hornet 160R gets petal disc brakes at both the ends, which, along with grippy tires aiding traction, help this bike shed speed really quickly. 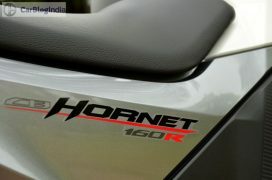 Stay tuned to Car Blog India for a detailed 2015 Honda CB Hornet 160R review and other news and features.